In a traditional classroom, the teacher is the center of attention, the owner of knowledge and information. Teachers often ask questions of their students to gauge comprehension, but it's a passive model that relies on students to absorb information they need to reproduce on tests. What would happen if the roles were flipped and students asked the questions? That's the premise of the Right Question Institute and a new book by its co-directors Dan Rothstein and Luz Santana. The book, Make Just One Change: Teach Students to Ask Their Own Questions, documents a step-by-step process to help students formulate and prioritize questions about nearly everything. Coming up with the right question involves vigorously thinking through the problem, investigating it from various angles, turning closed questions into open-ended ones and prioritizing which are the most important questions to get at the heart of the matter. “We’ve been underestimating how well our kids can think." On the teacher's part, the role becomes more a facilitator than an instructor. Rothstein and Santana call their method the Question Formulation Technique. The idea is that if students are engaged in deciding what question to answer they will also be invested in discovering the answer. Both teachers and students say the method has been both empowering and difficult. Kids who had long been struggling in school said they felt smart, the authors said. It’s a bit like the Socratic method flipped on its head. Socrates wandered around Athens asking questions to get at a deeper truth. Since then philosophy and law teachers have used questions as a way to get students to think more deeply, rather than giving them the information directly. The Question Formulation Technique turns that dynamic around and asks the students to come up with the questions that speak to the core of a topic. The quest is for the question, not the answer. If the concept feels a bit opaque, the book lays out a step-by-step process for guiding reticent students along the Socratic path, even laying out potential road blocks and work-arounds, which were developed over years of trial and error. In the end, students develop higher order thinking skills that will help them make decisions and think for themselves in any situation throughout life. Santana calls these "foundational skills" that are rarely taught formally, even though they are used all the time. An excerpt of Make Just One Change below lays out rules for students to follow as they produce their first set of questions. The questions are focused around what Rothstein and Santana call the "Question Focus" or "QFocus." This is a guiding topic for the questions that students should be producing. 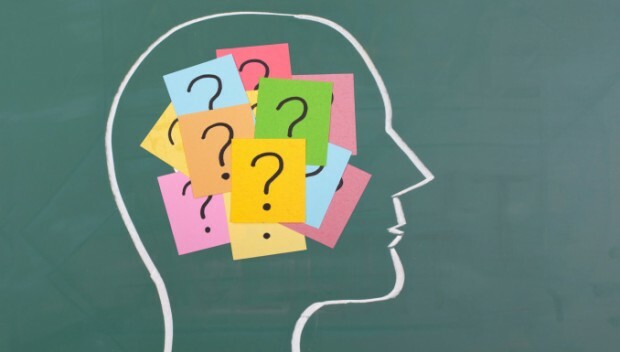 Students struggle trying to produce the questions: Give them time to think. Repeat the QFocus and the rules but do not give examples of questions. Students ask for examples: Do not give examples. Repeat: Do not give examples. When you give examples you are setting direction for the questions. Students need to struggle with this a bit. If they are completely stuck, you can use question starters. For example: "You can start a question with words like what, when or how. Use one of these words to produce a question about [our QFocus]." Question starters will be a good strategy for when students are stuck or when they have produced very few questions. Groups are working at different pace: While some of your small groups will have lots of questions, others will not. This is fine. The work during this exercise should not be judged by the number of questions students produced. If some of your groups are slow in producing questions, just make sure they stay on task by reminding them of the rules. Some students are not participating or one student is producing all the questions: Remind students about the task and the rules. All group members should contribute questions including the scribe. Remind students of this first rule. All questions are welcomed and valued which will allow the reluctant student to participate. Rule 2: Do Not Stop to Discuss, Judge, or Answer Any Question (Creates Safe Space and Protection). Students want to answer a question as it comes up. This rule says it all: do not stop to answer, judge, or discuss. Let students know that there will be opportunities for discussion and addressing the questions in other steps of the process. Rule 3: Write Down Every Question Exactly as It Is Stated (Levels the Playing Field So All Questions and Voices Are Respected.) Sometimes it will be difficult for the scribe to keep track of the question and all the words. The challenge is to make sure each question is captured, especially if there's a flurry of questions. Remind students that the whole group is responsible for each question to be written exactly as it was asked. Group members can help the scribe in remembering and recording all the questions. Students get off task and start talking: Make sure students stay focused on asking questions. Sometimes you will see students getting off-task -- talking or discussing. other times they might think they have asked a question when they have not, using statements or even phrases rather than questions. If you see any of these happening just ask them to change what they were talking about or the statement they wrote into a question. Students are confused about the instructions: Confusion could be a result of requesting students to work differently. Repeat the QFocus and the rules to clarify but do not overexplain. The QFocus is not working: It is important to have a backup plan if the QFocus doesn't work. Plan alternative ways to present the same QFocus. Do not try to explain or give information about the QFocus but give the instructions in a different way. "I want you to ask questions about [alternative QFocus]." Explore with students what is it that they don't understand; this will allow you to restate the instructions in a way they understand.